Are you ready for the most exciting seafood competition in the country? Fourteen Miami chefs come together in October to battle it out during South Beach Seafood Week. 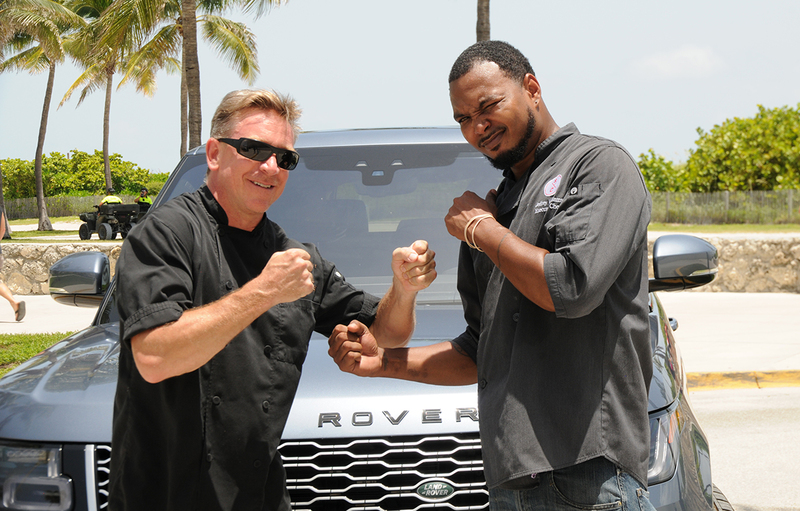 The VIP Chef Showdown is a one-of-a-kind event that is set up like a Vegas fight night! 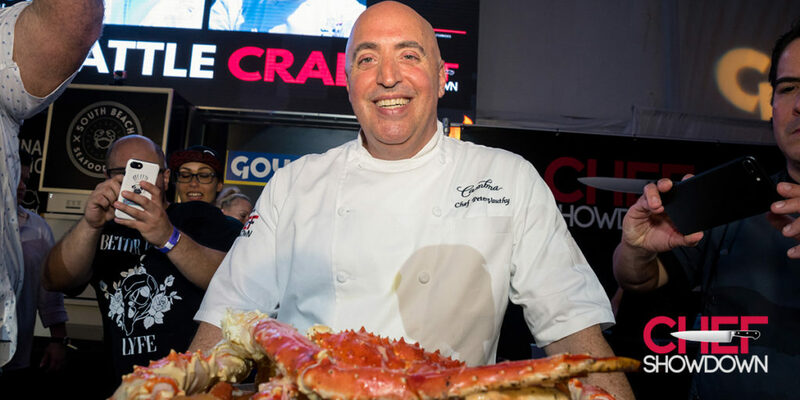 This event’s “fight card” pits Miami’s top seafood chefs against each other in seven different battles including lobster, surf n’ turf, sushi, and more! During each competition, the best of the best will have their opportunity to showcase their culinary prowess at a seafood fest that’s the talk of the town every year. 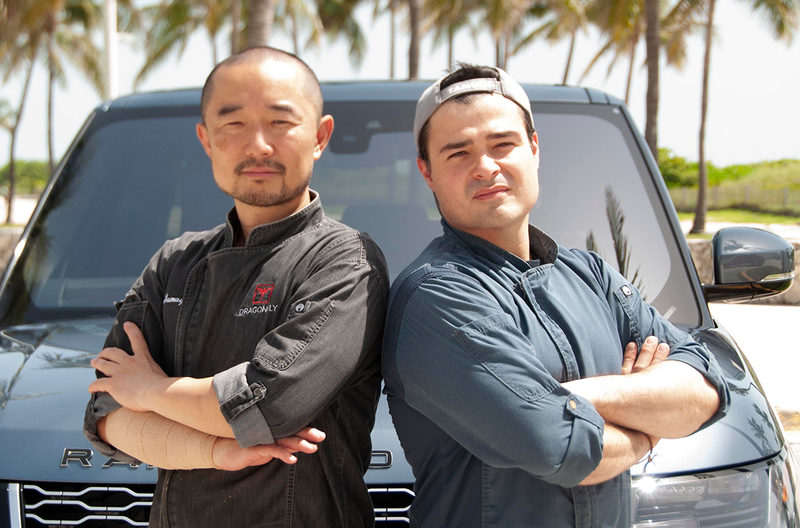 Set inside a VIP club built just for the night, right on the sands of South Beach, Miami chefs host a championship battle royale that’s both exclusive and exciting. This event provides the opportunity for guests to meet and greet with the best chefs in Miami and South Florida. There’s a reason why the Chef Showdown has been named Travel Channel’s Best Seafood Competition in the country! It shows off how incredibly talented South Beach and Miami chefs have created an world-wide culinary arts destination. At SoBe Seafood Week’s VIP Chef Showdown, the 14 best chefs from seafood restaurants in Miami and surrounding areas prepare what they hope is a championship dish. Guests get unlimited access to these five-star dishes so they can choose the best ones! Fall’s most talked-about foodie event is a chance to try some of the very best cuisine found at any Miami Beach festival. But don’t just take our word for it; check out the fourteen Miami chefs you’ll watch compete and get to know what drives their philosophy on food. What can you expect out of Battle Tuna? An epic competition. Reigning champion Chef Jim Pastor makes some of the most delicious tuna in all of Miami (you already know, if you’ve been to The Rusty Pelican Restaurant in Key Biscayne). Tuna lovers from all over rejoice whenever they hear his name, but he’s up against the equally impressive Chef Raul A. Del Pozo who puts his own spin on tuna. However, while the competition will be fierce, Chef Jim isn’t worried. “Competitions are fun. I like doing them. 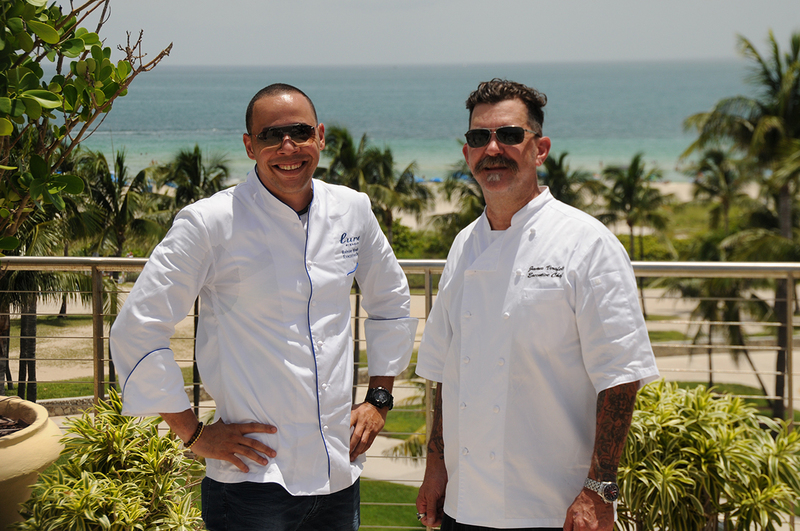 It’s great to get to work under pressure, which helps you thrive in the moment.” As for Chef Raul (another Miami chef creating culinary magic out of Key Biscayne at The Ritz Carlton’s Lightkeepers), he thinks competitions are great because it gives him a chance to spend time in the cooking community. Battle Fish is a battle for the ages, and it’s one of our absolute favorite battles at any food and wine festival in Miami. Chef Demetrios Pyliotis from Poseidon Greek Restaurant can also be expected to bring something unique and delicious to the table. He never serves less than perfection, which is why he loves the competition and is a three-time Champion! Battle Sushi pits premium ingredients and artful flavors against each other in a competition that delivers the best sushi in South Beach. 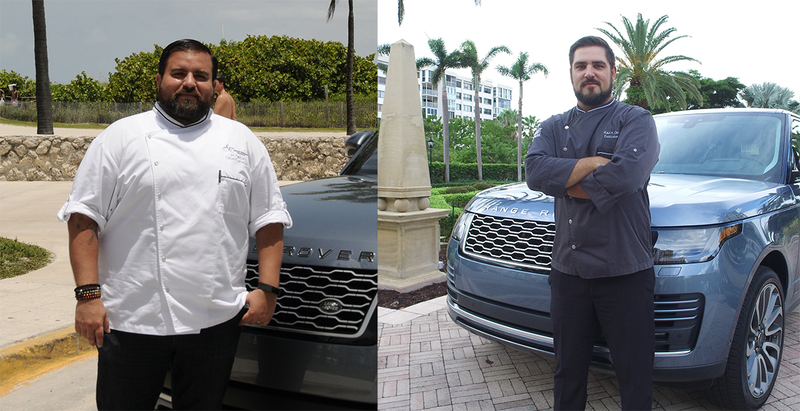 These two Miami chefs have perfected their crafts, and it’s a wonder to behold! “I never liked cooking competitions, to be honest,” said Chef Masatomo of Dragonfly Izakaya & Fish Market. “Everyone has a different culture and different palate, and everyone is going to like different things. But, what I do like is being with all of the other chefs and having fun together in front of our potential customers.” For someone who doesn’t like competition, you’d never know it. Chef Masa put on quite a show in 2017 and he is the favorite to repeat win in 2018. We love the combination of steak and seafood, so Battle Surf n’ Turf is a personal favorite. There’s just something about a savory meat dish combined with delicate seafood. And when it comes to surf n’ turf, no one does it better than Executive Chef Sean Brasel out of Meat Market Miami. One of the best Miami chefs, he’s a pleasure to watch in competition. Battle Lobster is an epic battle to create the most succulent and tender lobster dish imaginable. 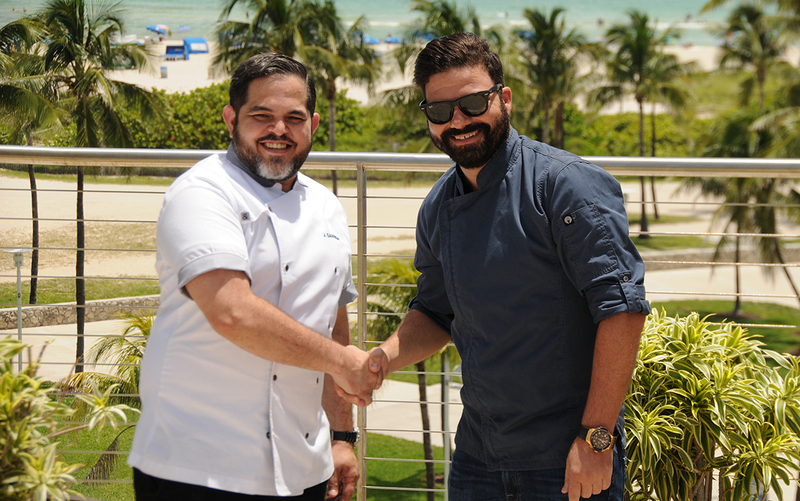 This year, Executive Sous Chef David Salinas is picking up the reigns from this Miami Chef, Executive Sous Chef David Salinas, Andre Bienvenu to keep the Battle Lobster championship with Joe’s Stone Crab, and he’s looking forward to it. Battle Taco? Yes, please! We love tacos and seafood and when combined together, our mouth’s water just thinking about it! Seriously, you can’t hold any South Beach events without tacos, and we wouldn’t want to try. And this final competition is fierce. Chef Bernie Matz might be the reigning champion, but he’s up against #Fireproof Veteran Chef Ralph Pagano. Making the night’s main event a battle for the record books. 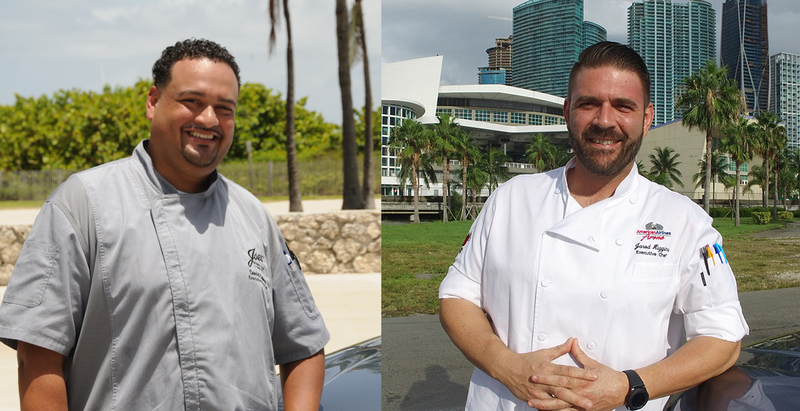 These two Miami chefs are hot, hot, hot! Unlike your typical top chef tournament, Chef Showdown is a unique foodie competition that has no equal. 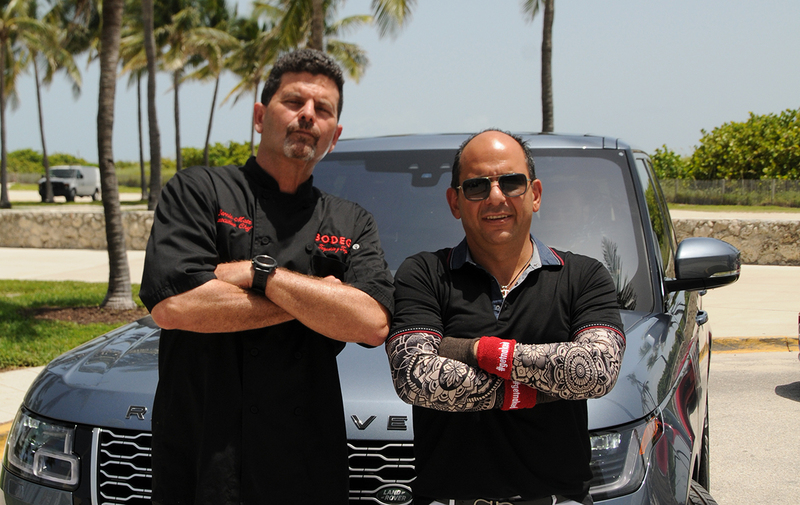 The top chefs in Miami bring their A-game to the stage on South Beach for a chance at being crowned a culinary champion. Everything for the event (meaning, food AND drinks!) is included in the price of the ticket. This South Beach Seafood Week event sells out every single year, so if you want to see the top chefs in Miami create some of the most mouth-watering food you’ve ever tasted, you’ve got to get your tickets fast! Which Miami chefs or seafood dishes are you most looking forward to seeing and tasting from in the competition?